Ice cream lovers in Makati are in for an exciting treat! The world’s favorite ice cream brand is introducing “It’s BR Time!” Join this exciting activity by visiting the Baskin-Robbins store at the second floor of Glorietta 2 (2/F) at 3 p.m. on October 13, Friday and get a junior scoop of your favorite ice cream flavor for free! Joining is easy! Follow Baskin-Robbins on Facebook, Twitter and Instagram and share the “It’s BR Time” post with the hashtags #ItsBRtime and #baskinrobbinsph. Tag your friends and make sure the post is set to public. 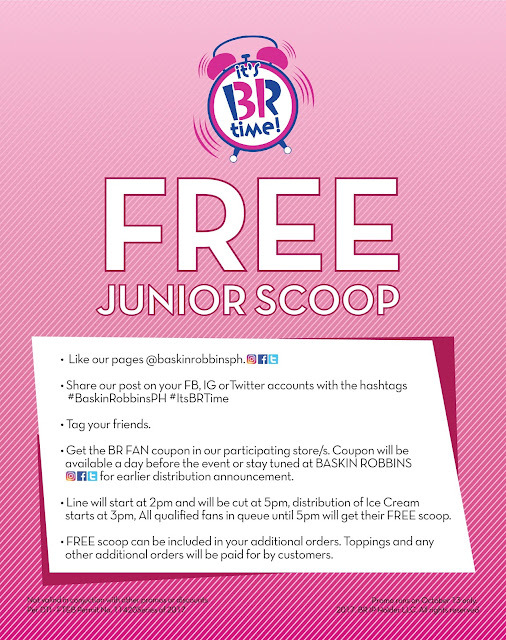 Simply show your shared post at the Baskin-Robbins store to get your coupon. 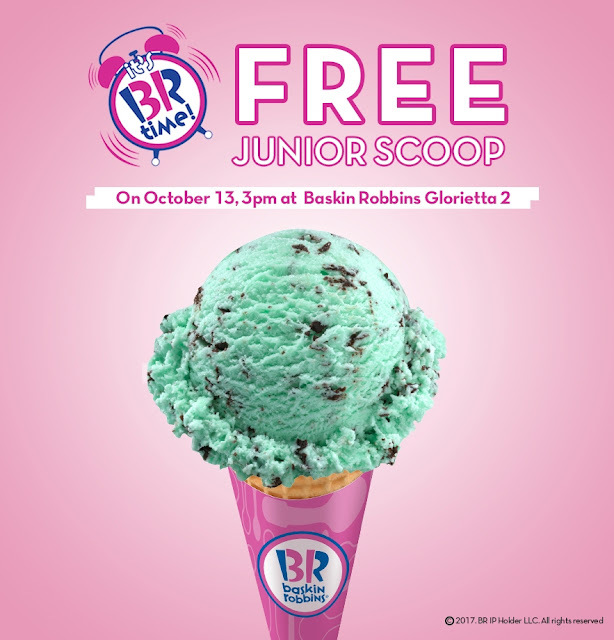 Distribution of coupons will start on October 12, Thursday at Baskin Robbins, Glorietta 2.